Paid Owned Earned: IKEA sleepover - Facebook competition winners spend the night in store! 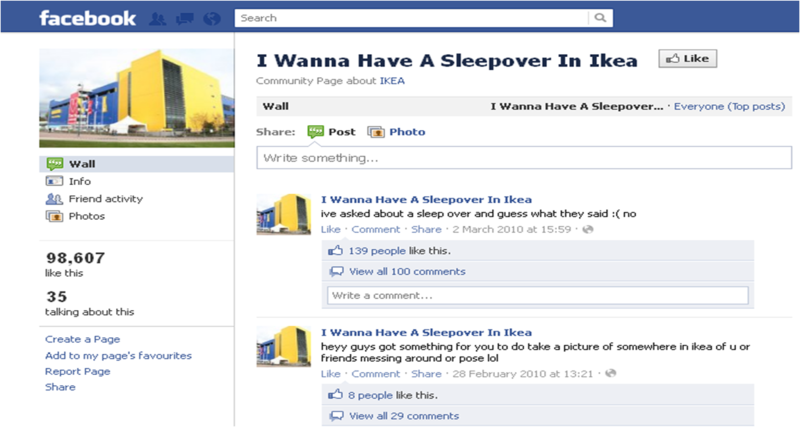 IKEA sleepover - Facebook competition winners spend the night in store! 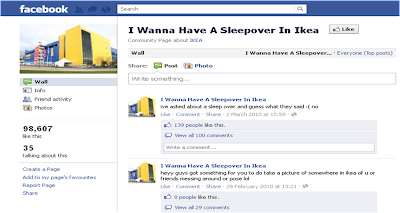 The IKEA store at Lakeside, Essex then decided to make this happen, running a Facebook competition where the 100 winners would be able to spend the night instore in an officially organised sleepover event! Free massages and nail painting were offered, sleep expert Professor Adrian Williams was on hand to give sleep advice, Sam Faiers (from The Only Way Is Essex TV show) read a goodnight story and a film was shown before everyone settled down to sleep in their IKEA beds, inside the IKEA store! Another example of how Listening can fuel initiatives that can drive Earned Media engagement. The IKEA Big Sleepover also shows how existing assets (in this case the store) can be repurposed and used as a platform for marketing activity. Hat tip the ever excellent Moxie Interactive Pulse blog. You will certainly see exactly what hulu needs to supply and also its attributes. Hulu Member Account I wish to end the short article on Hulu And also Login Treatment. It can be hard to pick out what system you want to buy. You must look at your needs and the various features of the consoles that are available. Also, the Internet can be a very valuable source for this information. Check reviews to see if other gamers have identified problems with the console. Before you make your final purchase decision, make sure you are well-informed.